On the fifth day of Blogger Christmas, my true love gave to me: Sarah Hearts! Welcome to the annual tradition on Pars Caeli where we cherish twelve bloggers right up to Christmas. Sit back and enjoy their stories, favorite Christmas traditions, and holiday projects, too. Let's spread the love around in big heaps. As a new twist to the tradition, each blogger will be throwing out some love to one of their favorite makers/creators/writers! Today meet Sarah who crafts, cooks, designs, and invites all of us to join along. Her Meet & Make evenings through West Elm always look divine. Sarah Hearts is filled with desktop wallpapers and free printables that you'll want to check out as well. My favorite holiday tradition is baking tons and tons of Christmas cookies for friends. I love surprising them with an assortment of freshly baked treats! So much! I’ll be starting the new year with a creative assistant so I’m so excited to have more hands on deck and to be able to share more great DIY projects. Look for a few new mini series in 2015 as well as big plans for Meet + Make, the local creative workshops that I host at West Elm. 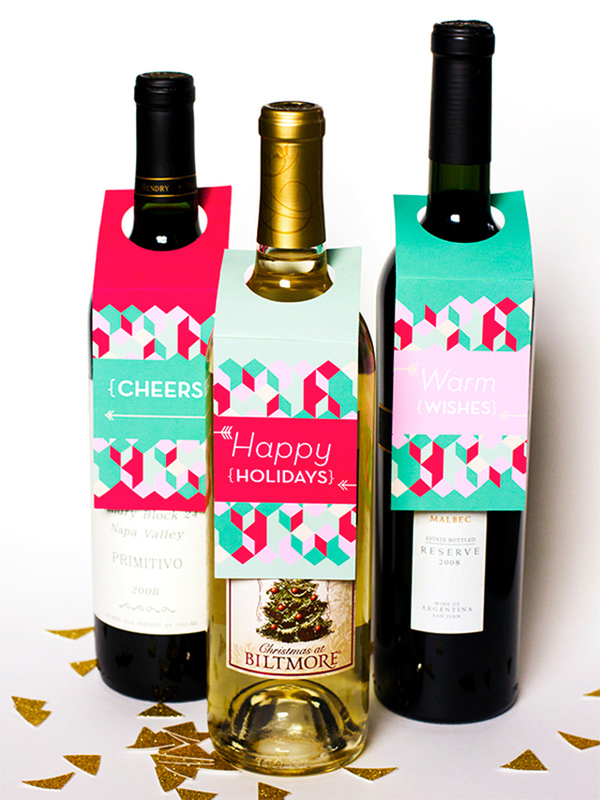 One my favorite Christmas posts is my printable wine bottle tags. They are an easy way to dress up a bottle of wine and make an instant (and festive) host/hostess gift. 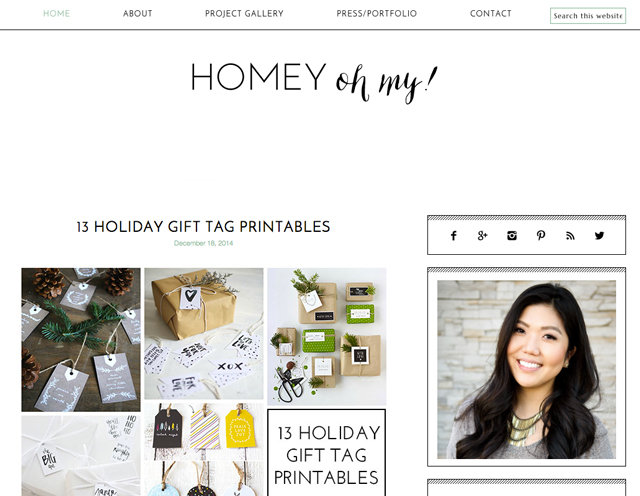 Amy from Homey Oh My! is just killing it! She puts out fresh, creative projects every week and just when you think she couldn’t possibly make anything more creative—she does! Love her! Thanks so much, Sarah, for introducing me to another great blogger and site! I'm always on the hunt for talent to follow and to learn from. And thanks for all of your inspiration! Join me tomorrow to celebrate the coolest mom on the interwebs!